A nature preserve whose highlight is a stunning rock formation and waterfall in a cave. It was used by Native Americans as a hideout in the 17th century, and then for weddings in the 19th century. Dover Stone Church's highlight is a metamorphic rock cavern in the shape of a church’s cathedral window with a cascading waterfall through the cave’s interior. 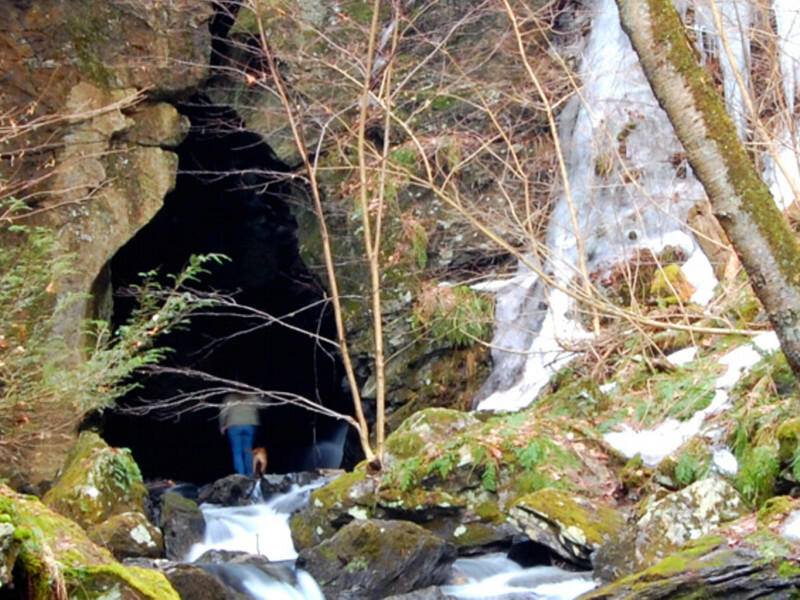 The Stone Church Brook, a tributary of the Ten Mile River, flows through and out the cavern entrance. The right-of-way entrance is located off Route 22 below the traffic light in Dover Plains. There is no parking permitted at the right-of-way but available nearby at Dover Elementary School 9 School Street Dover Plains (when school is NOT is session) and at Freshco 22 Plaza 3156 NY-22 Dover Plains (when school is IN Session). According to legend from the 1600s, a Pequot Sachem, Sassacus, hid in the cave to escape capture by the English. Since the 1800s, numerous artists have painted, sketched and etched its enigmatic beauty. Recently 50 acres were added to it, thanks to Dutchess Land Conservancy.